After Facebook, the social medic platform that draws massive attention of worldwide internet users is WhatsApp. It is one of the fastest messaging services which is beneficiating billions of people. 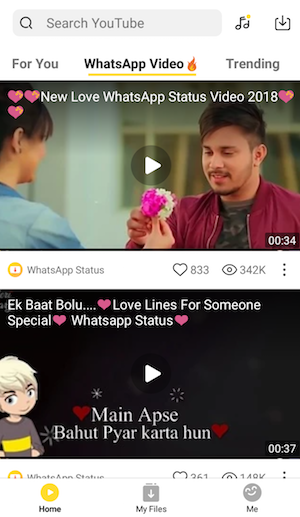 Nowadays, WhatsApp has given the opportunity to express your status in videos or images. Text status may not express your feelings so you can upload small video clips in your status and make your profile interesting. A large criterion of people in India is currently using this application and interacts with each other in Hindi language. Consequently, Hindi statuses in text and video formats are in trend. If you want to customise your profile with WhatsApp status in Hindi, please scroll down. Now, you can download unlimited WhatsApp videos in high-quality and that too for free by using Snaptube. 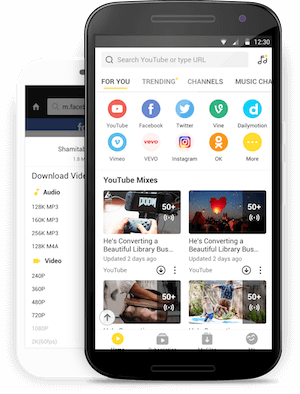 This freely available app is compatible with every leading Android device and provides a one-click solution to download WhatsApp videos. If you don’t have Snaptube on your device, then simply visit its official website. From here, you can download its latest APK file. To install the app, you need to open the APK file and follow the simple on-screen instructions. 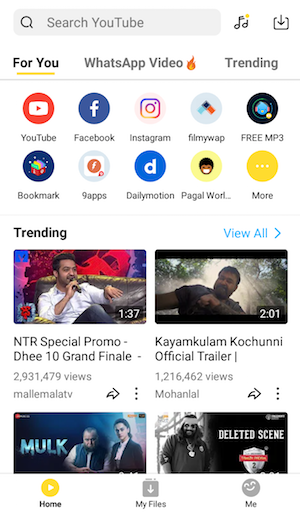 Now, you can just launch Snaptube on your phone to access its features. The home page has different sections. Select the “WhatsApp Video” option from here. 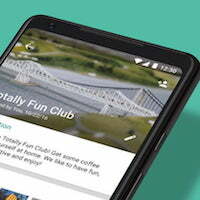 An extensive collection of all kinds of WhatsApp videos will be displayed. You can simply select any video that you wish to watch. To watch any video, tap on its video thumbnail. This will load it and start playing the video. To save the video, you can tap on the Download icon. Select any video resolution from here and the downloading process will be started automatically. In no time, the selected video will be downloaded on your device. You can view it from the device’s native video app or on Snaptube as well. 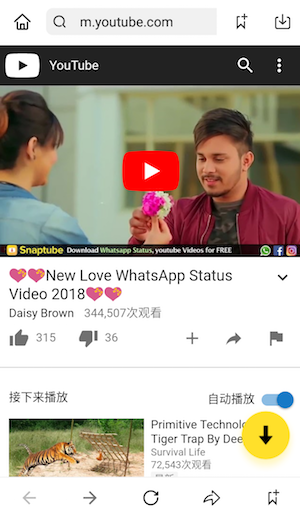 Afterward, you can put the downloaded video as your WhatsApp status or forward it to your friends on WhatsApp without any hassle. 1) Aache dost ko ruthane per hamesha manana chahiye kyonke…… wo kamene hamare sare raaz jante hote hain. 3) Dosti phul se karoge toh mehek jaoge,Barish se karoge toh bhig jaoge,suraj se karoge toh jal jaoge,mujse karoge toh bigad jaoge, aur nayi karoge toh kaha jaoge. 4) #Aap lehro ko to rokh nahi sakte, but terna sikh sakte hai.! 5) Shadi khud ki GF se Karni Chahiye…dusro ki GF se to Ghar Wale bi karwa dete hai! 6) Din to kutto ke Aate he…Hamara to Zamana Ayega. 7) Me waqt ke sath apne shokh badalta hu, DOST nahi. 8) Dear crush… block karde mujhe. warna pyar ho jaega tujhe.